What one age will you pick up for the rest of your life? Well, Life is so unpredictable and dynamic. We never know when our best age would come. When will life unfold a moment to us which we would like to live in forever? Childhood has its own store of freedom, fun and innocence. Teenage fills in zeal and warmth. Then begins the different stages of adulthood which takes us to different levels of maturity. In the later stages we cherish the fond memories, take pride in looking at our descendents grow and fix their roots – the saplings that were nurtured by us. Still, if I am given the choice to live in a particular age, I would choose the ages ending with ‘9’ that is 19, 29 and 39. I feel a special connection with these ages. Not because I have any fascination with the number 9, but due to a special connection which I share with these ages and also for the amazing fact that though each age depicts a particular stage of life yet the feeling in these years remain the same. They are transitional phases of life…of maturity. Henceforth awaits the tags of twenties, thirties and forties respectively and that is core reason why one wants to enjoy this particular year as much as possible. Almost the same feeling of a student completing his studies and ready to face the world or of a bachelor entering into the married life. Now I am excited to unfold my 20’s where two of the major turning points of my life await – My career and My love/marriage. I still enjoy playing my childhood games with my friends and also have serious discussions on current affairs. I am now settled, not necessarily in life but in my mind about my priorities. I am more focussed now. I am in best of my looks and personality. I have a learnt to balance between work and fun. I can still claim that I’m in my 20’s. My preferences in life has changed from more work to more quality time. I know now how to enjoy life. I have experienced love, overcome hardships and come out strong. I have the insight to give advice to my younger ones. I am more conscious about my health and fitness. Now getting a compliment that “You still don’t look like you are in your 30’s”, is very special and makes me the happiest. 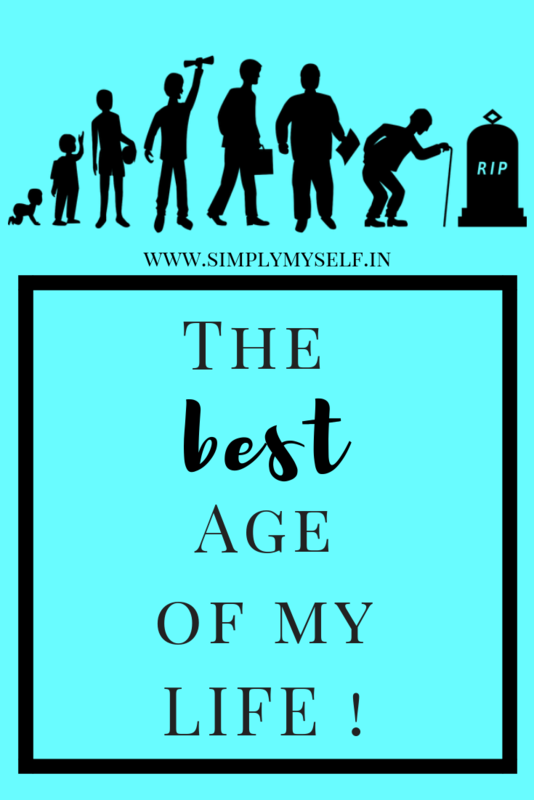 I feel, It’s not only about the ages 19, 29 and 39 but all the transitional years of our lives can be considered the best age because they help us to pause and reflect what we have done in the previous decade and transcend our limits of thoughts. Interesting it is to think that we are getting older every moment. Every birthday makes us a year older and experienced of course. Still living and passing through the abovementioned ages of life gives us altogether a different feeling. Interesting post. I actually preferred being 30 to 29 but 39 was better than 40. Lovely post. If I were to choose, I think I’d say anywhere from my mid-forties onwards (I’m now 52). I think we grow more confident as we get older, and more content with who we are. Good to see the self love. In today’s generation it’s missing.